Google home is a brand of smart speakers developed by Google. Google Home speakers enable users to use voice commands and interact with the Google’s services intelligent personal assistant called Google assistant. The devices come with a large number of services, both in-house and third-party, which are integrated within Google Home. These range from allowing the users to listen to music, control any playback of videos or photos, or even receive news updates entirely via voice. 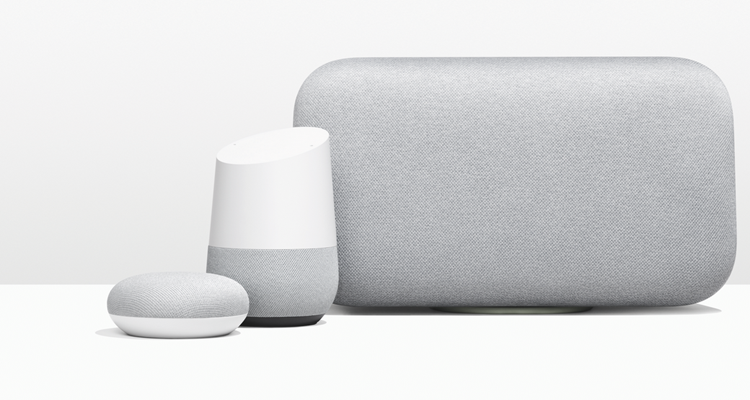 Google Home devices have integrated support for home automation, allowing the users to control a range of smart home devices with just the sound of their voice. A vast number of Google Home devices can be placed in different rooms in a home for a synchronised playback of music. The Google Home device comes in a cylindrical shape with colored status LEDs on the top for incredible visual representation, and the cover over the base is modular, with different color options to always go with the decor of your Smart Home, blending with the environment and fitting with the aesthetics of your home. Artificially intelligent voice assistants are the new battlegrounds between the largest US technology companies, and as we know Google is not really a stranger to voice search and Google has been available on Android SmartPhones for years, it was beaten in the US and then UK households by Amazon and their hit Echo speakers. The Google Home it&apos;s more verbose and will respond with a greater personality than it typically does on your smartphone, that is primarily contributed to the lack of screen attached to Google Home, so it is voice over nothing. Meaning where Google assistant on the phone would show a web search, the Google Home reads out the top search result or answer to a question. The top of the Home is touch sensitive and has two holes for the microphones. Tapping on the top pauses the music or cancels any current actions it is performing while sliding your finger in a circular pattern will adjust the volume of the device. However as responsive as the touch-sensitive top is you can still go with the voice control feature to perform other activities. The bottom of the Google Home possesses three speakers: one facing forward and two on each side with a relatively large amount of bass for such a small speaker. The bottom fabric cover can be changed, with various materials and colours available, but honestly, the white and grey colour scheme blends in well perfectly with most kitchens. Setting up the Google home is relatively straightforward, by using the Google Home app on an Android or iOS device. Tap through, log in with your Google account details and customise the assistant with service preferences, your work and home locations and many more different aspects. How much customisation is required depends mostly on your interaction with Google Assistant or Google Now on any other smart device, such as your SmartPhone or your tablet. The more Google search and the other Google products while in your account, the more information the company will collect and provide you with more customised assistance to personalise responses and provide information that might be of interest. Of course, you have to completely trust Google to not view this profiling of your life as a massive invasion of your much-desired privacy, but you also have to trust Google to bring a microphone-equipped speaker into your house in the first place. Google Home has a microphone that is turned on for as long as the device has energy and it isn&apos;t muted, it listens out for the activation words ‘’ OK Google’’ or ‘’Hey Google’’ and then, once it has awakened, it starts sending anything you say to it to Google’s servers to understand and send back the proper responses. As long as there is a stable internet connection at home you wouldn&apos;t know that it is all powered by a server somewhere else, as the Google Home interactions and responses are almost immediate, however, If the internet were to fall, the device would not work. Google Home is first and foremost a voice assistant there&apos;s no way around that. However, it will play music for you, including from Spotify and Google Play Music, and it is remarkable at finding random tracks, albums or any playlist you might request, even if you are not sure of your question. Google Home also commands chromecast to play videos from YouTube and other apps and will then receive audio via the Google Chromecast while you control it with your voice. Beyond media playback, Google Home will access your personal information if you happen to be a Google user, it will pull out information from your Google calendar and other Google services. It will provide all the information and a snapshot of your day in the morning and report to you what your commute looks like, giving you weather specifications letting you know if it will rain or not while it can also provide you with the latest pre-recorded headlines from your choice of The Sky, BBC or any other. Google Home will also do the usual array of alarms and timers, which comes particularly helpful when it comes to cooking. However, the best feature of Google Home is the Google Assistant itself with the ability to answer questions. It does so better than any rival, like Siri, Alexa and even Cortana, as it counts with the Google’s massive information data set to answer any of them. The Google assistant is capable of answering questions directly from Google’s Encyclopedia, but it also performs its own web search to find the correct answer to your question. Google also comes with a vast list of locations, shops and other information based places, which again the Google assistant is remarkable at using to provide all the right information you require. Google home is an excellent entry into the growing smart speaker race. From its wealth of knowledge, intelligence in knowing what you are asking even if you mispronounced the question or don’t get the right terms correctly. With an easy setup, it feels perfectly designed and ready to go, the assistant even has a personality, responding to the same questions or action in different ways every time giving the same information but in a different, more human-like fashion. For all of the efforts that Google has put into making Assistant smart, adaptive, funny and quirky, it stumbles trying to get the words out in a different way others do not.